Rod Melancon’s “Wanna Go For A Ride” from his Medina River Records release PARISH LINES (available at Amazon) has been licensed for use in Toyota’s new 2019 Corolla Hatchback commercial! We’re pretty excited about that. Congratulations to Rod! As you may have heard, Rod Melancon moved to a new label, Blue Élan, last year. We were sorry to lose him, but it was the right move for Rod, and we are happy to report that he’s still making great music! 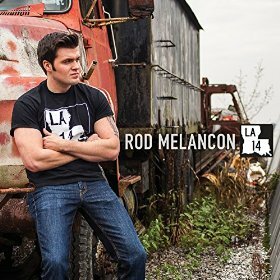 Brian Whelan is still working with Rod as his producer, and the new EP, LA 14, is pretty rockin’, while leaning more toward Rod’s country roots. Rod’s songwriting remains strong on LA 14, still haunting, still swampy. We truly wish Rod the best of luck with his new EP, LA 14. You should give it a listen. The full album is scheduled for release later this year. Check out the first official video from LA 14.